The world needs more women engineers! Our Prep Course is perfect for those who want a taste of what life as a coder is like before committing to the Software Engineering program. Prep will teach you the foundations of programming and prepare you for the bootcamp application process. Plus, it offers plenty of flexibility so you can continue working at your full-time job. Hackbright Academy runs a competitive, 12-week software engineering program whose graduates work at some of the best tech companies in the world. The accelerated software development program is stimulating, exciting and fulfilling, and will prepare you to become a software engineer. 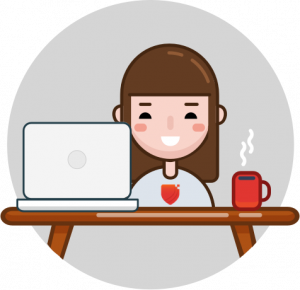 Hackbright Academy now offers a competitive, 24-week, evening and weekend software engineering program! Learn everything you would learn in the full-time, 12-week program, and prepare to become a software engineer without quitting your day job.